It can be extremely frustrating to solve a significant problem of a technical nature over the phone or using messages. Therefore for both the user and the tech support provider, this can become a true nightmare with confusion popping up at every step. Even if they’re still very common around the world, telephone conferences lack the advanced collaboration and all the interactive features of web conferencing. Even f you don’t have access to web conferencing, you are now able to benefit from one of its most essential features, namely the ability to share your computer screen with the teleconference participants if they have Internet access. 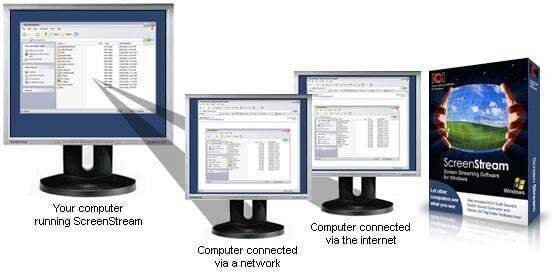 This is exactly the point in which screen sharing software comes into the picture for solving all communication issues and to make it possible to see any type of process being displayed in real-time. 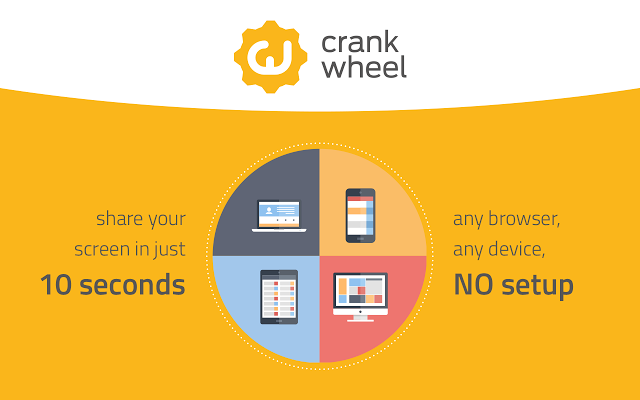 Desktop sharing/screen sharing apps are targeted at making life easier for both admins and users at the same time. Their more than just a plain way of supplying tech support for users, they’re really an amazing way of sharing data and of collaborating with others remotely easily and quickly. With such software, multiple individuals in different locations can work on a presentation or on a project plan simultaneously from their desktop PCs. Sharing your screen with friends and family is also great, and it comes in handy many times. The screen sharing apps allow you to share whatever is happening on your display to anyone in real-time and you can share it all with just a single user or like we already said before, with a group of people. This way, it will all be perfect for virtual meetings, for instance. 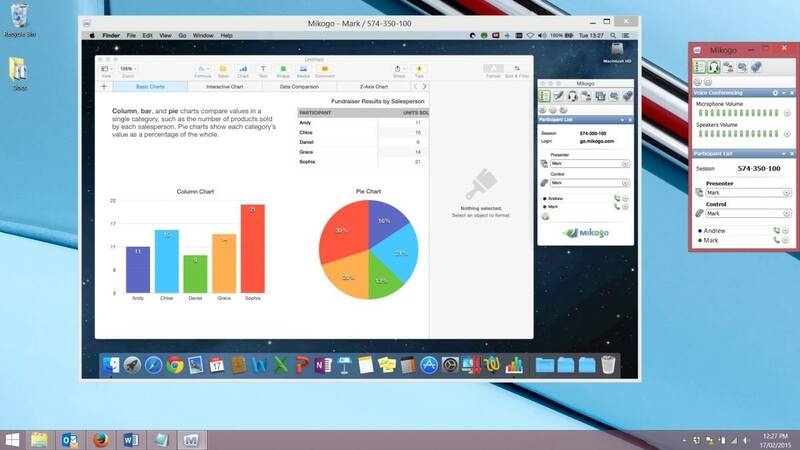 This is a great collaboration tool that provides stable screen sharing tools along with a fantastic VoIP service. The free version is only appropriate for one on one screen sharing and for sharing your screen with more people you will have to get the pro version. Once the app is downloaded, you are able to start a session and to share the provided link with more people for sharing your screen with them. This is a newer software which you can use to share your screen for free. The best one of its features is the one-click sharing as long as you have Java installed. After 20 seconds, you’ll be good to go: you get a code, you give that particular code to the person you want to share your screen with, and they’ll be able to view your screen from a tablet, a desktop, and even from a smartphone. This is a Google Chrome app that allows you to access all your computers from another computer or even from your mobile devices. You can use it for various purposes such as accessing your machine from different locations, for providing remote support and for securely accessing your files and software apps on your computer. It’s linked to your Google account, and the installation and setup are quite easy. It’s very fast and it works on Windows, Mac and also Linux. The mobile version of the application is available for both iOS and Android. The site was created by the LogMeIn developers and this is a very traditional service offering remote access to your machine. It features instant screen sharing, and it has a lot of features that make it fantastic for online meetings. With the free version, you will be able to have up to 10 participants who can all view your screen at the same time, and the software also allows you to pass control to others. It includes multi-monitor support, it lets people see your screen on an iPad, iPhone or an Android device, and it supports chat file transfer. This is a basic app that allows others to see your desktop and it doesn’t feature remote control capabilities. The person that wants to share the screen must download the app, but the viewers don’t need to download anything. The images are viewed from a web browser, and the app is compatible with PC, Mac, and Linux. There is no limit to the number of users that can see your screen. 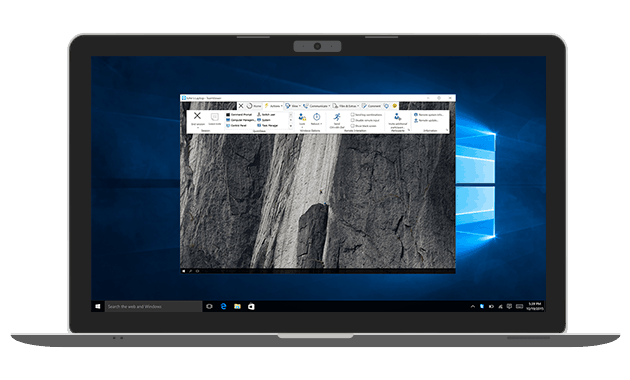 This is probably the most popular remote desktop software together with Skype. It’s a simple and fast application, and it’s also very intuitive and ideal for network engineers. It is also available on Windows, Mac, Linux and the mobile app is compatible with iOS, Android, Windows Phone, and BlackBerry. This is another great site which allows you to conduct unlimited online meetings that last up to 6 hours. You first have to create an account to get started, and the required elements include only a name and an email address. The interface is impeccable and organized in the most intuitive way. 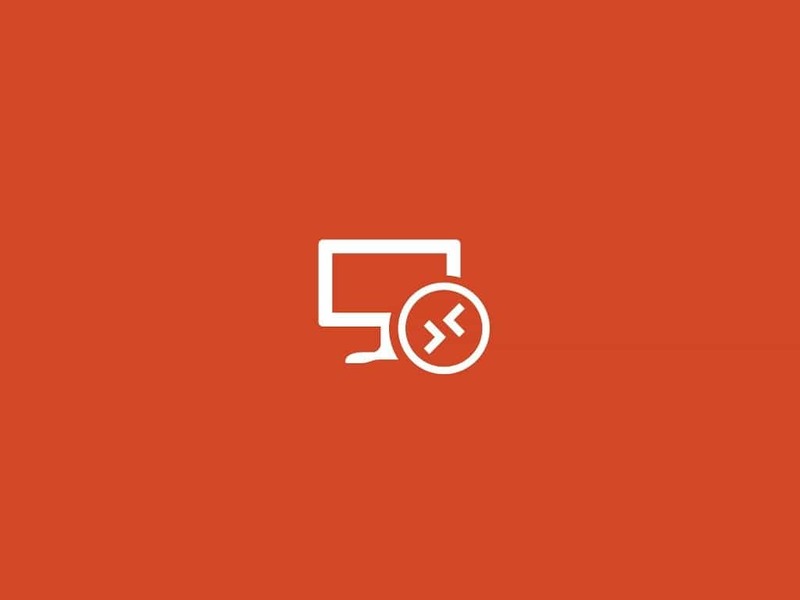 Microsoft introduced its Remote Desktop apps for Android and iOS a few years ago, but this is perfect for accessing your Windows computers. 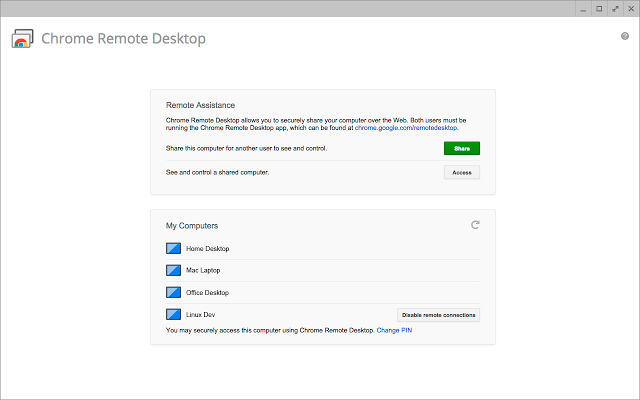 It is also free without usage restrictions, and unlike Chrome Remote Desktop, the setup process is a bit more complicated but only when you perform it for the first time. This is a freeware screen sharing tool that is very simple, and it comes with no upgrades. It doesn’t feature limitations on service, and it doesn’t require any registration. You only have to start the download on your PC and you have to allow the local peer-assisted network prompts to begin the sessions considering the fact that the session is based on a per network. 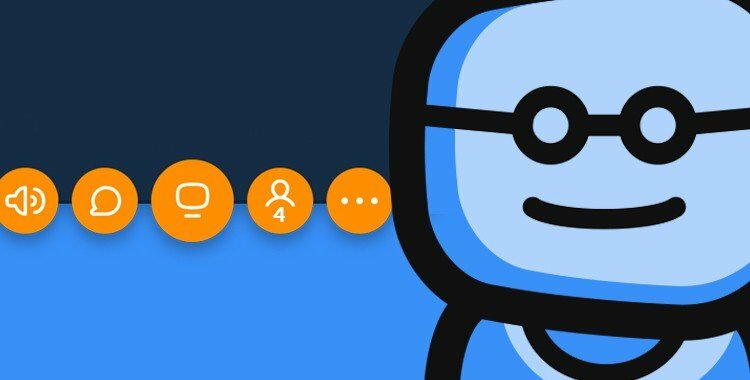 Yes, we know, this is one of the most (if not the most) popular programs for screen sharing that is currently used by millions of individuals. 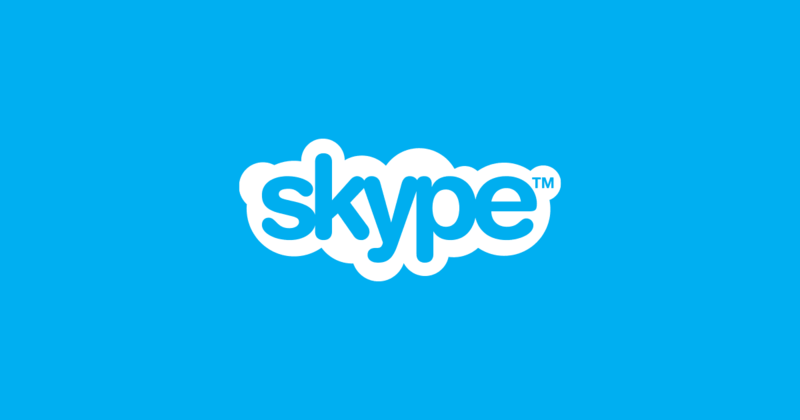 You can share your screen with another Skype user and it’s great because Skype is a trusted and a safe program to use. Once you install the application, you will be able to add all your PCs by entering all the necessary details. It can only be used for accessing Windows PCs from a remote location. After the meeting organizers sign up for the service, they’ll get a nine digit session ID, and they will be able to share it with the teleconference participants. The software is browser-based so that no downloads will be necessary. The service allows up to 25 people to share and view their desktops and they can also grant remote control rights to each other. 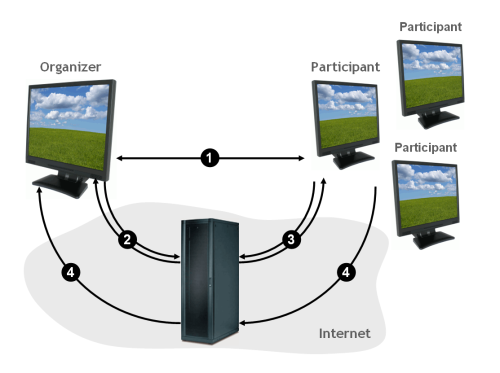 Using it, you are able to record the desktop sharing session. You can share your machine’s screen with up to 100 users at a time. The app works on both PC and Mac letting users pick their own URL. The software can be fully customized to feature the looks of a company’s website. It allows the users share their mouse and keyboard and it’s cool for online collaboration. It even works great with video, and there won’t be any delays. 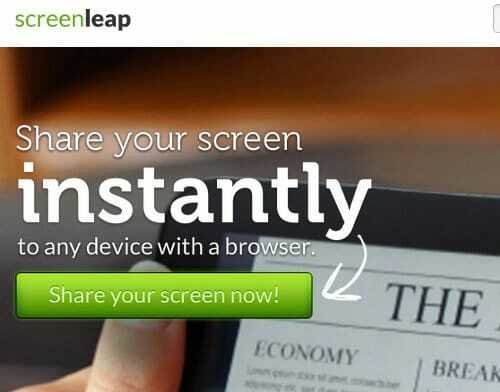 Sharing your screen becomes incredibly easy with this app. You can share your screen with anyone without any preparation and even in the middle of a phone call. Users don’t have to download anything not even when they are on the go with their mobile phones. You can easily see what others are seeing, and you can also check if they’re paying attention or not. Depending on your personal desires and needs you can choose which software or app works best in your particular case. Some of the software above are better geared for actual online presentations, and others are plain simple screen sharing apps.